A Limited number of rooms are reserved in the World Congress Venue and other neighbouring Hotels. 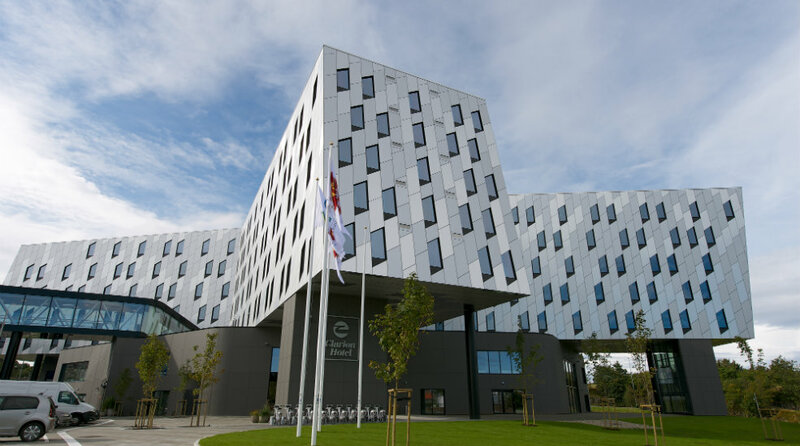 Necessary links and booking codes for Special rates for Reservation of Hotel accommodation in Clarion Energy Hotel (World Congress venue), Clarion Hotel Stavanger, Comfort Hotel Square, and Comfort Hotel Stavanger, will be sent to all delegates through Registration confirmation after the Registration for WCEAM-2018. All delagates are requested to book their Accommodation as early as possible, since the late September can potentially be a quite demanding period for Hotels due to Nordic Edge and other events in the Region. SPECIAL NOTE: Specially discounted rates for Clarion Hotel Stavanger, Comfort Hotel Square, and Comfort Hotel Stavanger are available ONLY until the Early bird registration deadline of 15th July 2018. After 15th July 2018 normal rates will apply. The idyllic natural lakes Mosvannet, Stokkavannet and walking trails Sormarka are close by. Perfect for a walk, a run, or just to get out and enjoy the outdoors. Be inspired at the Stavanger Art Museum or shop at Madla Amfi Senter, both on the hotel’s doorstep. These are specially discounted rates for WCEAM-2018 delegates. Prices are per room per day and include great breakfast buffet, free Wi-Fi and free access to the hotel’s own fitness center. No rates have been confirmed for the following hotels and bookings will have to be made in direct contact with the hotel, through a travel agent, or using an online booking system.